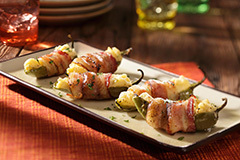 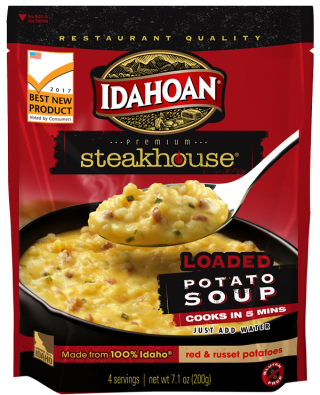 As a 2017 BrandSpark Best New Product Awards winner, Idahoan Steakhouse® Loaded Potato Soup gives you restaurant quality soup—flavorful, hearty, slow-cooked taste—in minutes. 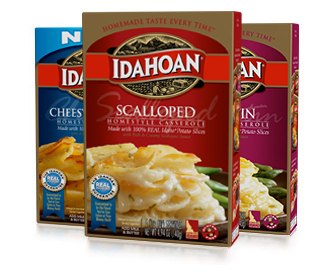 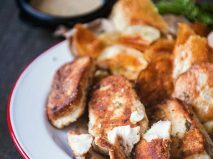 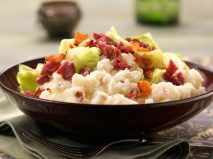 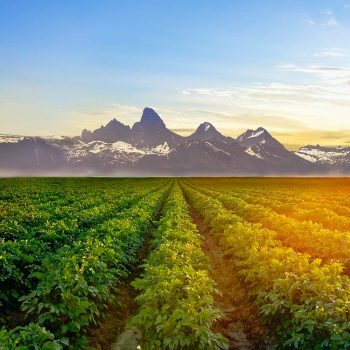 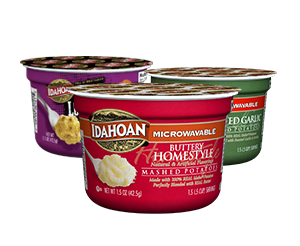 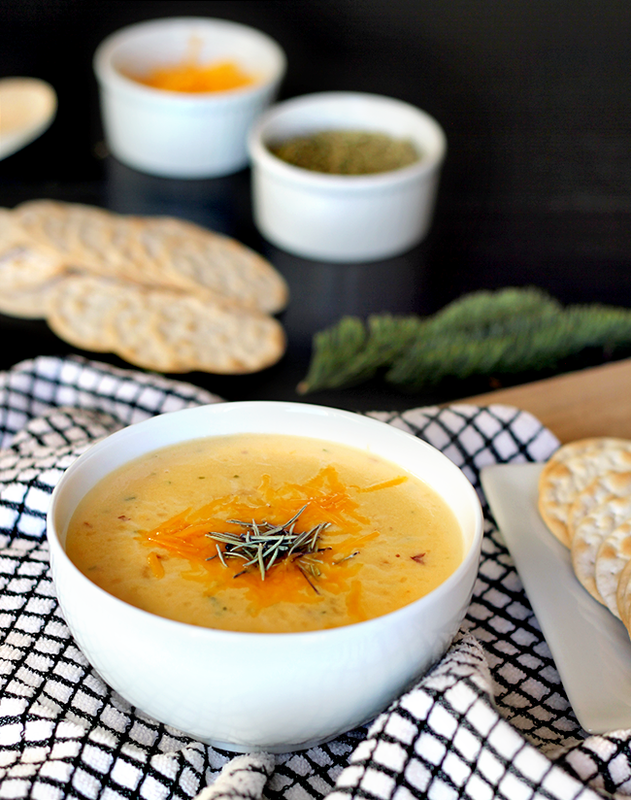 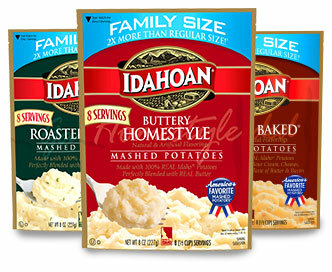 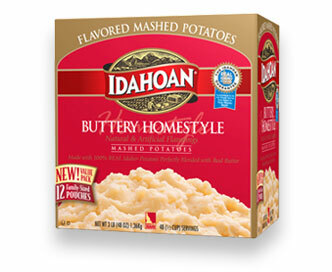 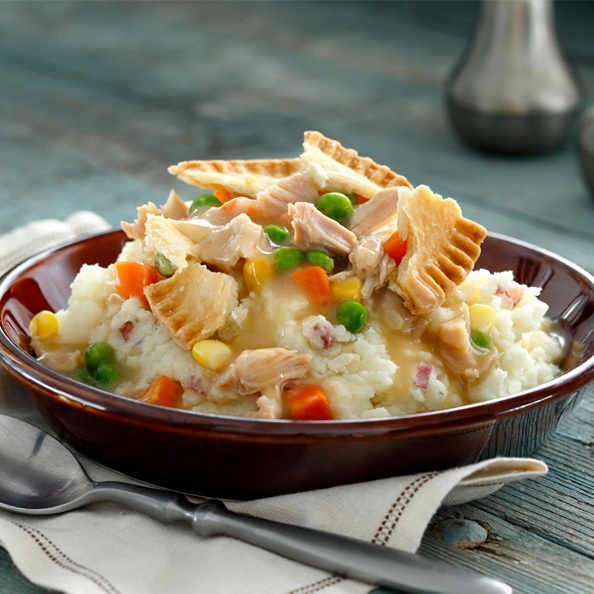 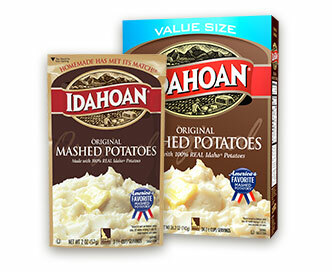 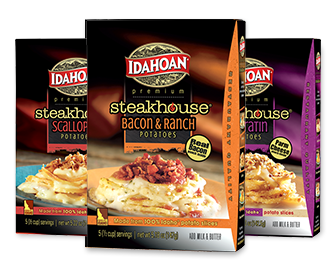 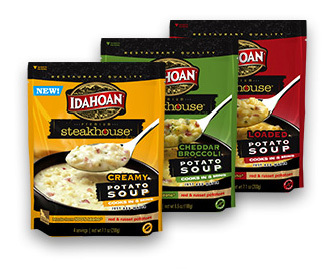 You don’t have to go out for restaurant-quality potato soup anymore—Idahoan is bringing it straight to your table! 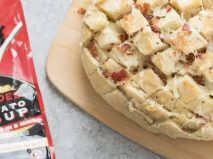 Filled with real, red potatoes and red potato skins, this hearty soup delivers exceptional taste and texture with every spoonful! 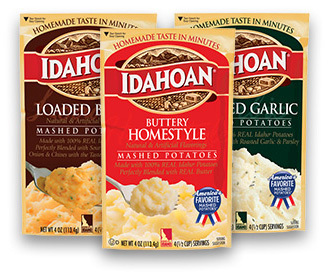 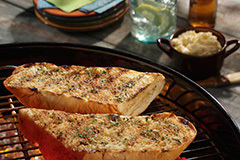 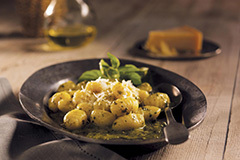 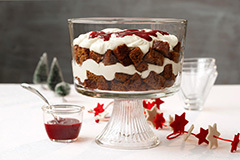 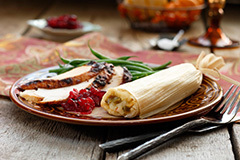 IDAHO® POTATOES (INCLUDING RED VARIETIES), SOUR CREAM (CULTURED CREAM, NONFAT DRY MILK), CORN SYRUP SOLIDS, WHEY, MODIFIED FOOD STARCH, VEGETABLE OIL (CONTAINS ONE OR MORE OF THE FOLLOWING COCONUT, PALM, SOYBEAN, COTTONSEED, SUNFLOWER, CANOLA), SALT, REDUCED LACTOSE WHEY, CHEDDAR AND BLUE CHEESE (PASTURIZED MILK, CHEESE CULTURES, SALT, ENZYMES), TEXTURED VEGETABLE PROTEIN, AUTOLYZED YEAST EXTRACT, DEHYDRATED GARLIC, NATURAL FLAVORS (INCLUDING SMOKE), SPICES, WHEY PROTEIN CONCENTRATE, XANTHAN GUM, DRIED CAYENNE PEPPER SAUCE (CAYENNE PEPPER SAUCE [AGED CAYENNE RED PEPPERS, DISTILLED VINEGAR, SALT, GARLIC POWDER], MALTODEXTRIN, NATURAL FLAVOR), HYDROLYZED SOY PROTEIN, DISTILLED VINEGAR, PAPRIKA EXTRACT, CARAMEL COLOR, DEXTROSE, ANNATTO EXTRACT, RED 3, DISODIUM INOSINATE, DISODIUM GUANYLATE, CALCIUM STEAROYL LACTYLATE, MONO AND DIGLYCERIDES AND LESS THAN 2% SILICON DIOXIDE ADDED AS AN ANTICAKING AGENT. 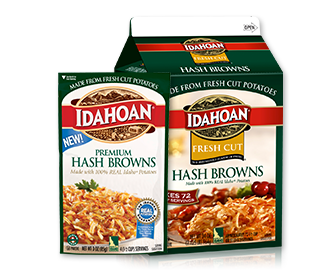 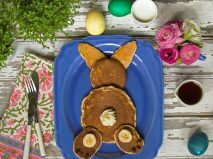 FRESHNESS PRESERVED BY SODIUM ACID PYROPHOSPHATE, SODIUM BISULFITE, CITRIC ACID AND MIXED TOCOPHEROLS.